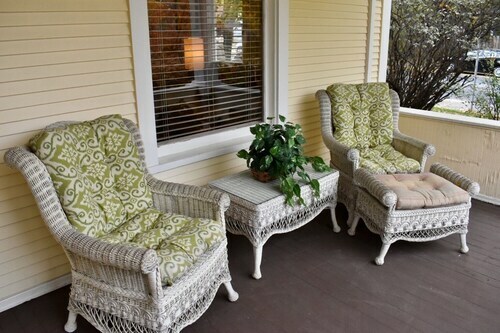 Situated in Minneapolis, this historic vacation home is within a 15-minute walk of Chain of Lakes and Lyndale Park. Lake Harriet and Museum of Russian Art are also within 3 mi (5 km). Situated in Minneapolis, this vacation home is within 1 mi (2 km) of Chain of Lakes and Lyndale Park. Lake Harriet and Museum of Russian Art are also within 2 mi (3 km). This family-friendly Minneapolis vacation home is within a 15-minute walk of Chain of Lakes and Lake Harriet. Lyndale Park and Lake Calhoun are also within 1 mi (2 km). 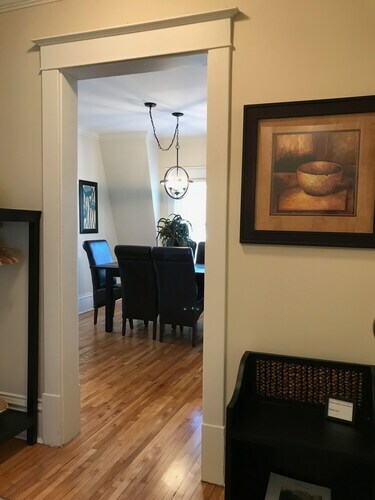 Situated in Minneapolis, this apartment building is within 1 mi (2 km) of Chain of Lakes and Lake Harriet. Lake Calhoun and Lyndale Park are also within 2 mi (3 km). Situated in Minneapolis, this romantic vacation home is within 1 mi (2 km) of Chain of Lakes and Lake Harriet. Lake Calhoun and Lyndale Park are also within 2 mi (3 km). This family-friendly Minneapolis vacation home is within 1 mi (2 km) of Chain of Lakes and Lyndale Park. Lake Harriet and Museum of Russian Art are also within 2 mi (3 km). 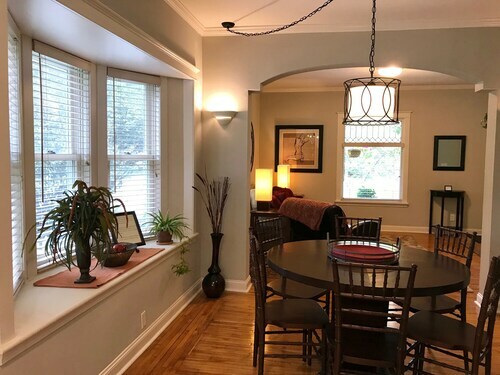 Situated in Minneapolis, this property is within a 15-minute walk of Chain of Lakes and Lyndale Park. Lake Harriet and Museum of Russian Art are also within 3 mi (5 km). 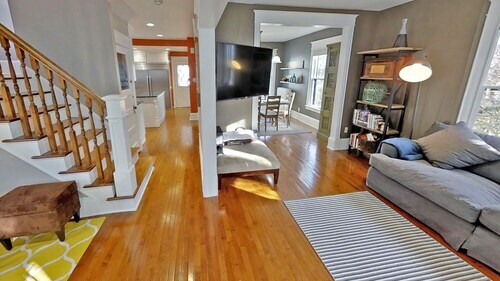 This family-friendly Minneapolis vacation home is within 1 mi (2 km) of Chain of Lakes, Lake Calhoun, and Lake Harriet. Lyndale Park and Lake of the Isles are also within 3 mi (5 km). Situated in Minneapolis, this vacation home is within 2 mi (3 km) of Chain of Lakes, Lake Harriet, and Lake Calhoun. Lyndale Park is 1.8 mi (2.9 km) away. Situated in Minneapolis, this vacation home is within 2 mi (3 km) of Chain of Lakes, Lake Harriet, and Lake Calhoun. Lyndale Park and Lake of the Isles are also within 3 mi (5 km). 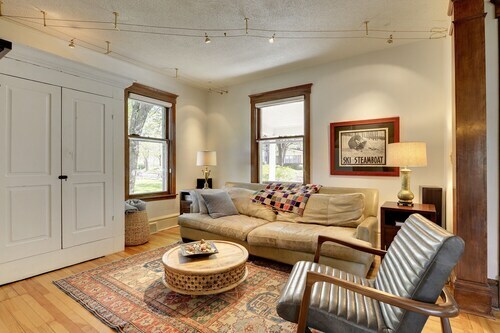 Situated in Minneapolis, this historic apartment building is within 1 mi (2 km) of Chain of Lakes and Lyndale Park. Museum of Russian Art and Lake Harriet are also within 3 mi (5 km). Enjoy the sunshine with Mother Nature at Lake Harriet. It is just one of several things that makes the city of Minneapolis - St. Paul popular all year round. Rest your feet and wind down after visiting Lake Harriet. You can choose from 85 accommodation options that are within 6 miles (10 kilometers). The Hotel Ivy, a Luxury Collection Hotel, Minneapolis and Residence Inn By Marriott Minneapolis Downtown are two places you might want to consider. It shouldn't take very long to realize the value of the area's more reasonably priced solutions. The Days Inn Hotel on University and the University Inn are two of the more well-known places. Are you someone who has luxurious tastes? If so, you'll find a couple of first-class hotels located a quick drive away. The Loews Minneapolis Hotel and The Westin Edina Galleria are recommended. Bread & Pickle (4135 West Lake Harriet Parkway, Minneapolis) is one of the better local places for quality coffee and a delectable dessert. After a long day, toast your friends at The Harriet Brasserie (2724 West 43rd Street, Minneapolis), and accumulate a wealth of wonderful memories. Ensure that you buy your tickets as early as possible if you want to see a concert at Lake Harriet Band Shell. Take a moment and breathe in the fresh air of Lyndale Park, an urban oasis. Take some time to see the various fascinating exhibits and improve your knowledge of transportation at Minnesota Streetcar Museum. A cemetery might not be the top sightseeing priority on most traveler's lists, but you will discover that Lakewood Cemetery has a fascinating story to share about the region's history and background. Shopping at Il Vostro is a popular way to blend in with the locals. How Much is a Hotel Room in Lake Harriet? Hotels in Lake Harriet start at per night. Prices and availability subject to change. Additional terms may apply.